This kit replaces confusing harnesses and the complexity of handwiring the original Super Action Controller’s diode array. 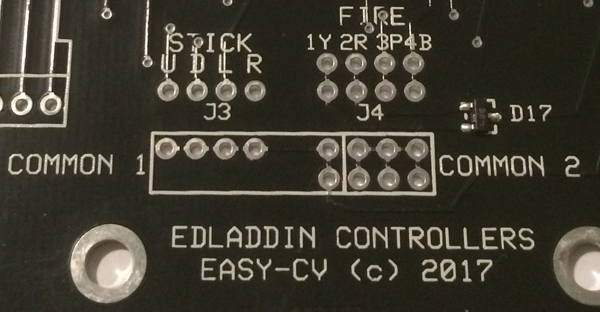 Instead, clearly-marked solder pads show you exactly where to connect the nine wires from your DB9 cord, your joystick, and as many as two pairs of the four fire buttons found on the classic Super Action Controllers. 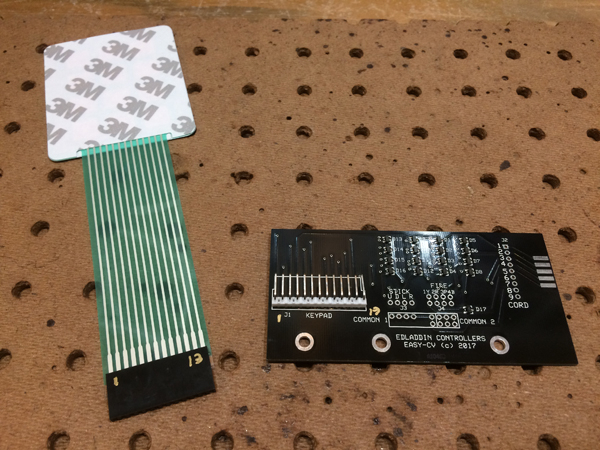 Solder pads are also correctly spaced for standard electronic pin headers, either for use as soldering posts or for making your wires detachable. You can even skip the hassle of hard-soldering the DB9 cable by edge-mounting a female DB9 connector, which will allow you to connect your new controller to a ColecoVision with an off-the-shelf game extension cord. The 12-key membrane keypad is adhesive-backed, so simply pull off the wax paper and stick the keypad to the exterior of your enclosure. Then feed the ribbon cable connector through a slot in the case and plug it into the Easy CV input/output board. The connector and board are both marked to make sure you plug it in the right way. The Easy CV's mounting holes are positioned to allow the board to directly attach to two of the four mounting bolts on most arcade joysticks, or the board can be attached to the inside of the case. The result is virtually foolproof controller assembly with wiring that is easy to understand and looks great. Click here to download the Easy CV Instruction Sheet. 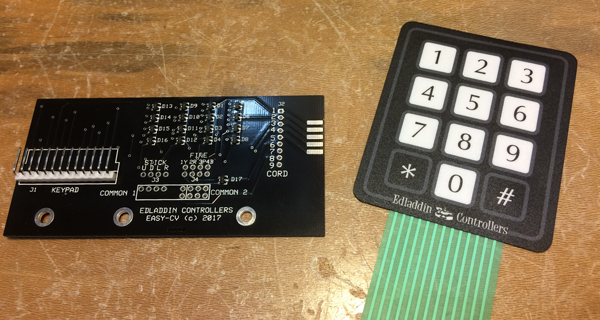 Note: This kit includes only the Easy CV input/output board and a 12-key membrane keypad. You must provide your own controls, DB9 cord, hook-up wire, and case.